Toke is using Smore newsletters to spread the word online. What is the Western BristleBird? Western BristleBirds are ground-dwelling birds. This means they live on the ground where there is low and dense vegetation. 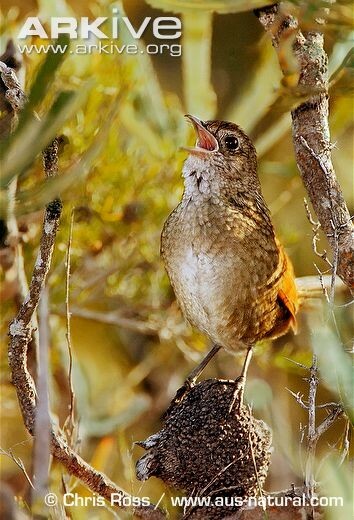 Though Western BristleBirds are ground-dwelling birds, they still make nest for their eggs. Their nest is always found on the ground in clumps of sedge or near dense shrubs. Sometimes Western BristleBirds can be found where Eucalyptus plants are. Western BristleBirds are found between Perth and Ravensthorpe on the coast of Australia. A video cannot be found because Western BristleBirds are heard not seen. How did the Western BristleBird become endangered? Western BristleBirds are considered in endangered mainly because of the increase in Wildfires. Predators of the Western BristleBirds, like Foxes, Cats, and Hard-Hoofed Animals, have also contributed to the decline of the Western BristleBirds. Changes of local climate weather, invasion of weed species, and plant diseases have also contributed to the decline of Western BristleBird. Are their any solutions to keep the Western BristleBird alive? Because Western BristleBirds are endangered, preserves, like Fitzgerald River National Park and Two Peoples Bay, are keeping these birds. In these organizations, they have continue to let these birds breed and let the population grow. Organizations, like The Western Australia Department of Environment and Conservation (WADEC), have been coming up with plans to help conserve the environment and stop all the wildfires that destroys their homes. "Western Bristlebird Photo." Dasyornis Longirostris. N.p., n.d. Web. 12 Mar. 2015.<http://www.arkive.org/western-bristlebird/dasyornis-longirostris/image-G50618.html#biology>. "Biodiversity." Dasyornis Longirostris — Western Bristlebird. N.p., n.d. Web. 12 Mar. 2015. <http://www.environment.gov.au/cgi-bin/sprat/public/publicspecies.pl?taxon_id=515#habitat>. Harrison, Michelle. "Western BristleBird." EDGE of Existence. N.p., n.d. Web. 12 Mar. 2015. <http://www.edgeofexistence.org/birds/species_info.php?id=2024>. "Western Bristlebird Photo. "Dasyornis Longirostris". N.p., n.d. Web. 12 Mar. 2015.<http://www.arkive.org/western-bristlebird/dasyornis-longirostris/image-G50618.html#biology>.